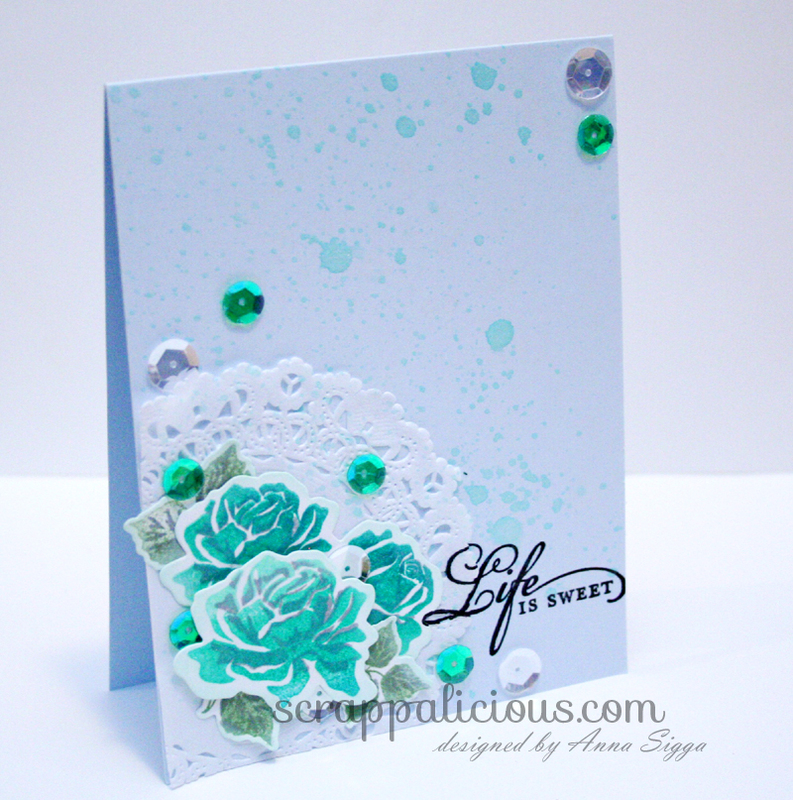 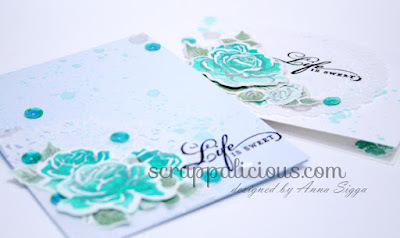 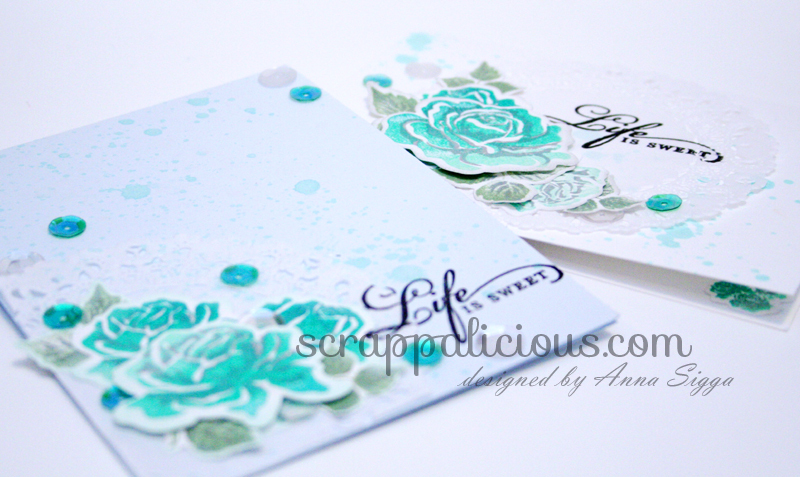 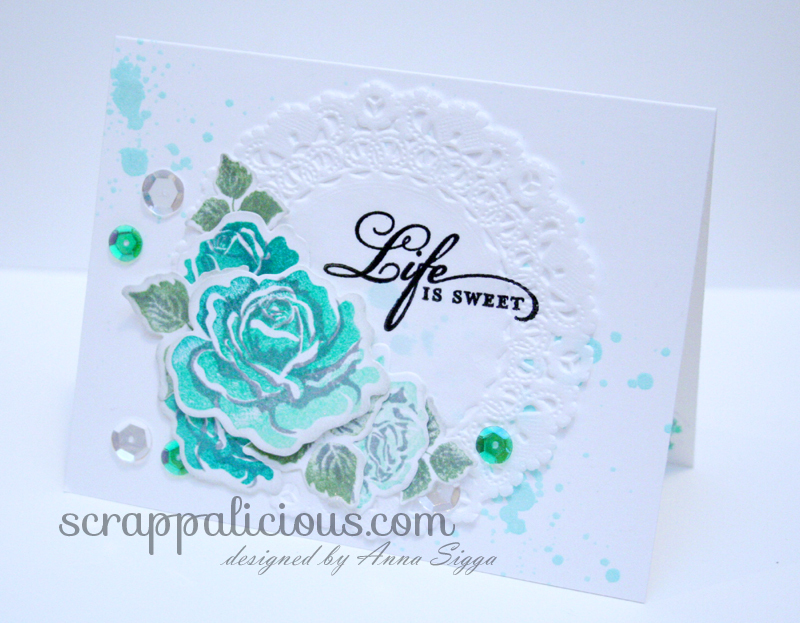 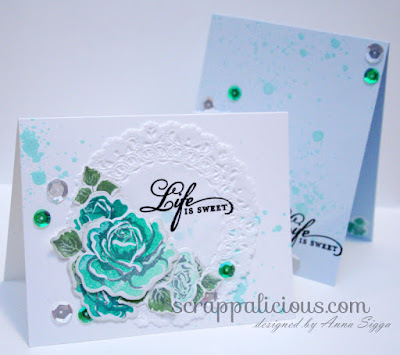 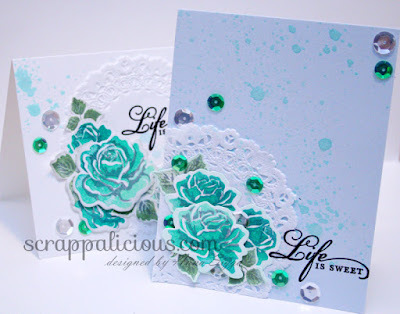 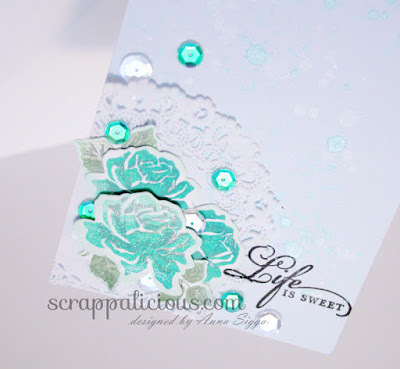 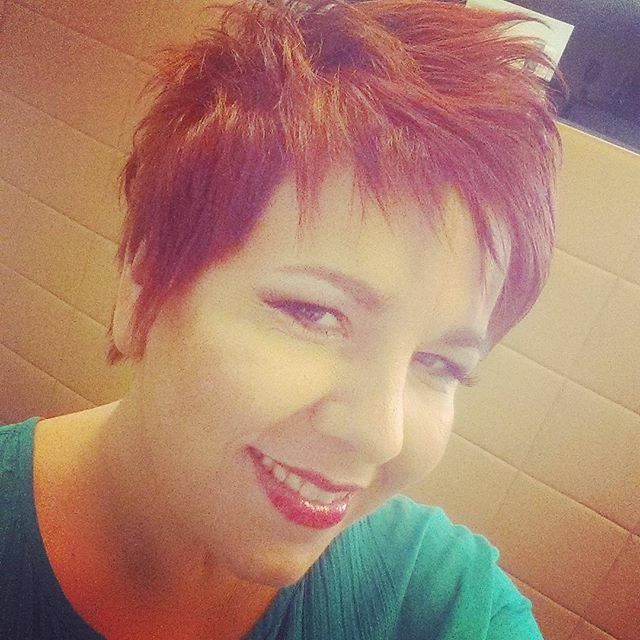 Life is Sweet - Scrappalicious! 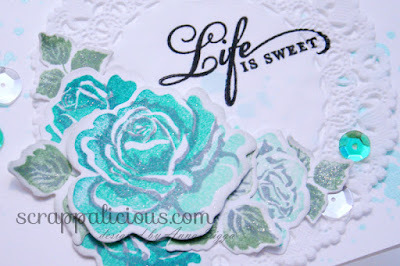 I have had this beautiful stamp set from Papertrey Ink for over 2 years and for some reason I had forgotten all about it. 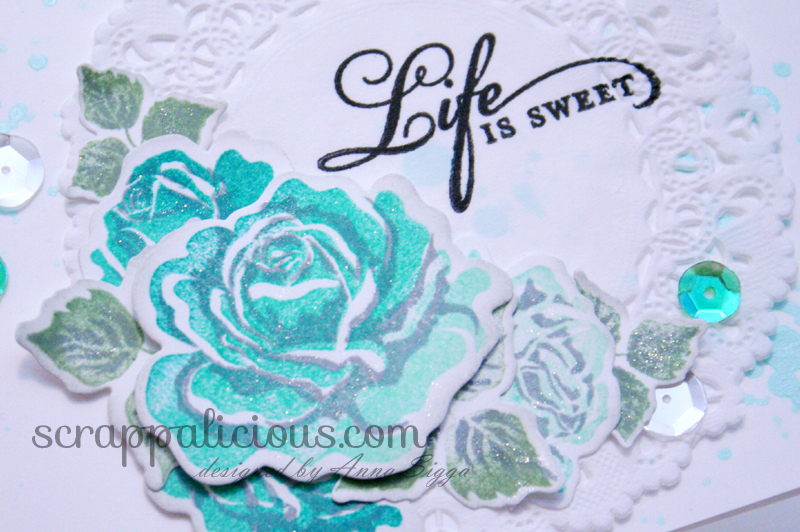 I got the Hero Arts ombre ink in "Mint to Green "a while back and thought why not use that ink along with these stamps and a bit of grey in to see if that would work. 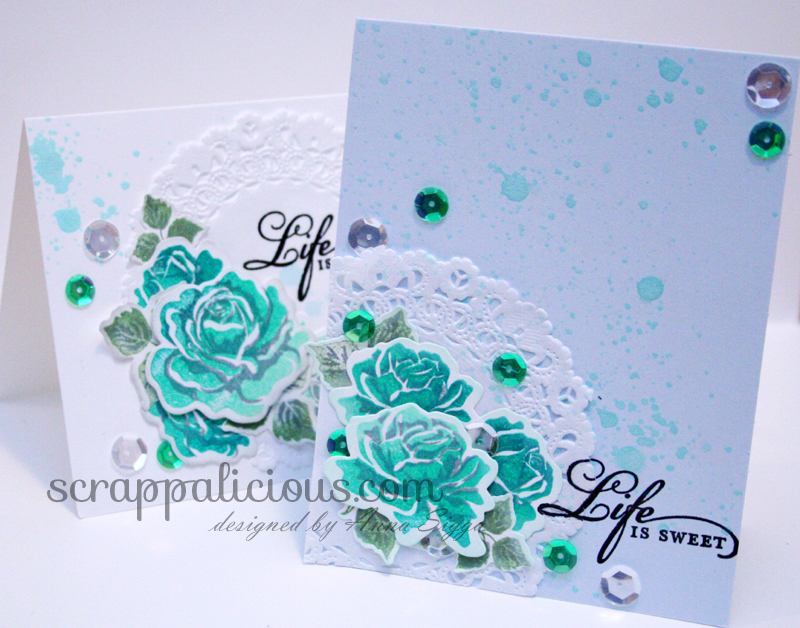 I hoped this would look good and I am happy to say I kinda like the effect. 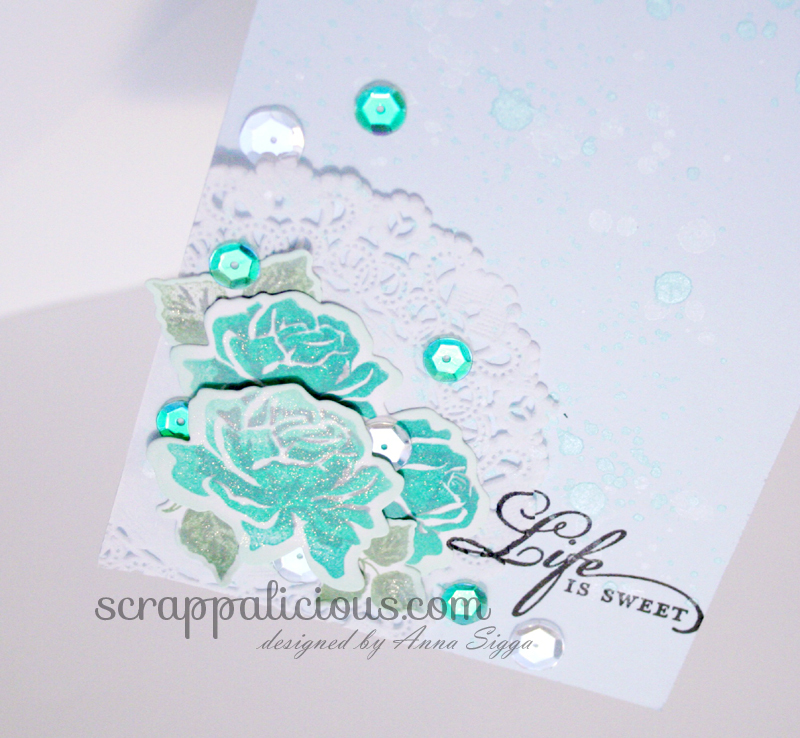 A different take on the typical rose card. 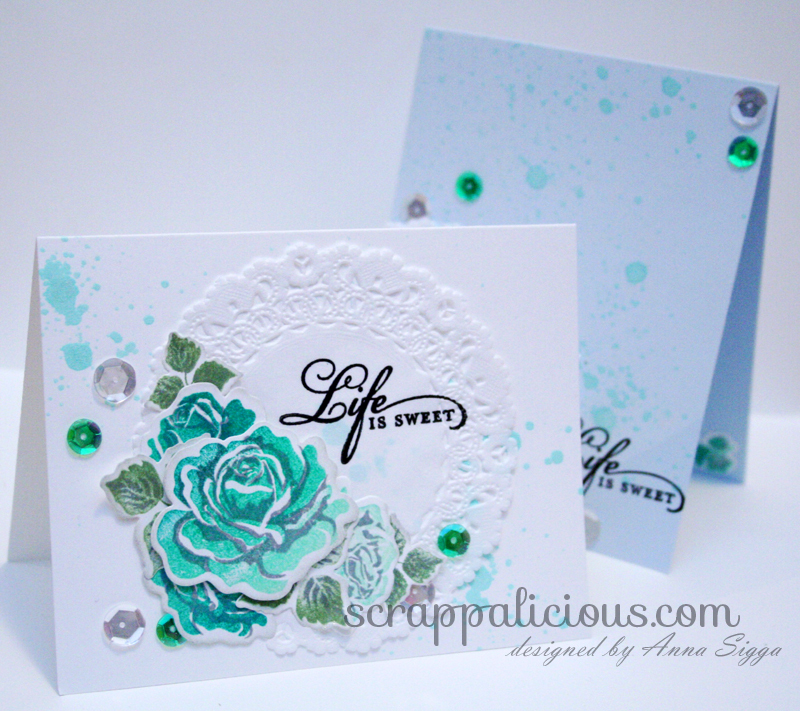 Just to add a bit of sparkle and shine I added some pretty sequins from SpiegelMom Scraps, my Wink of Stella pen, Heidi Swapp and Tattered Angels mists.